Spray chrome offers a flexible alternative to traditional chrome plating. Whether you are an artist, hobbyist or body shop owner, you’ll love the affordability and quality that spray-on chrome has to offer. When you are in the market for spray chrome systems, you may be wondering which manufacturer to choose. Here is a spray chrome comparison between the products offered by Eptex Coating and PChrome so that you can make a more-informed choice. Eptex Coating offers a variety of different products, including hydrographics, powder- coating products and training and spray-chrome products. The company does not guarantee product freshness, and it ships within about a week after an order is placed. Eptex Coatings offers two spray-chrome systems, both of which are rather expensive. The smaller of the two costs $5,200. The company’s spray-chrome booth system costs $7,200. The adhesion capabilities of its chrome spray is not known. It offers six different tints that can be used with its silvering spray and clear topcoat. The price per square foot of coverage ranges between $5 and $10. 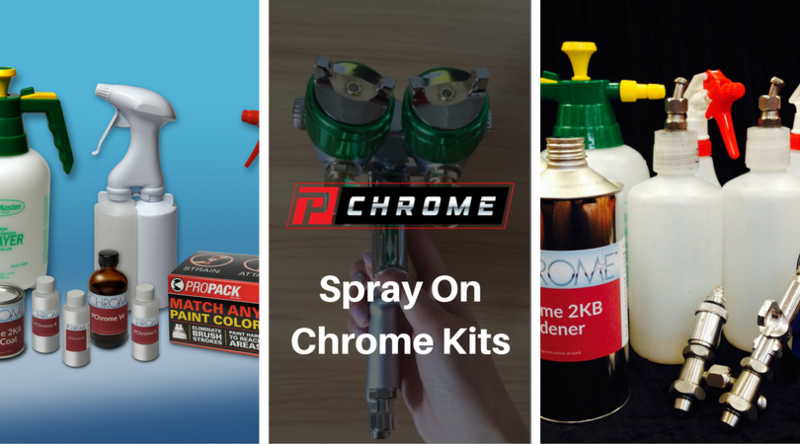 PChrome offers a range of size options, ranging from ounces to gallons. The company offers artist’s starter kits for coverage levels of 25 to 50 square feet starting at $595. We also offer a more robust professional starter kit starting at $2,195. The professional kits come with the our own dual-nozzled silvering gun and do not require you to purchase expensive, additional equipment for your chroming projects. 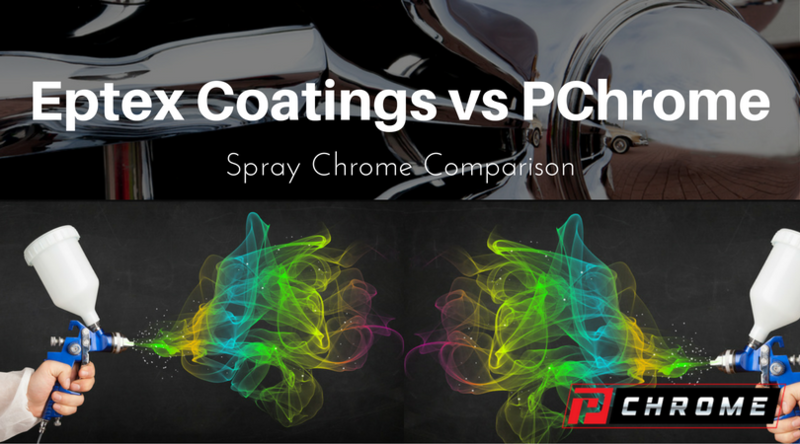 If you still have questions after reading this spray chrome comparison, we invite you to call us here at PChrome. We can also be reached via email or video, and we are ready to help you. You are welcome to place your order online, via fax or over the phone.